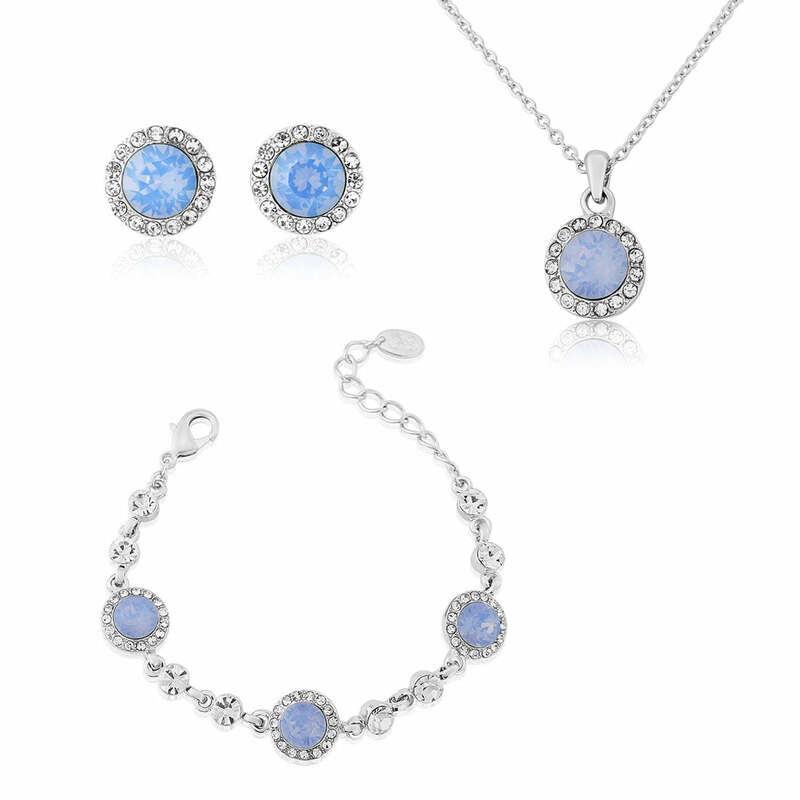 Captivating with their shimmering blue opal crystals, our Shimmering Sky jewellery set features pendant, bracelet and earrings oozing 1950s charm and elegance. 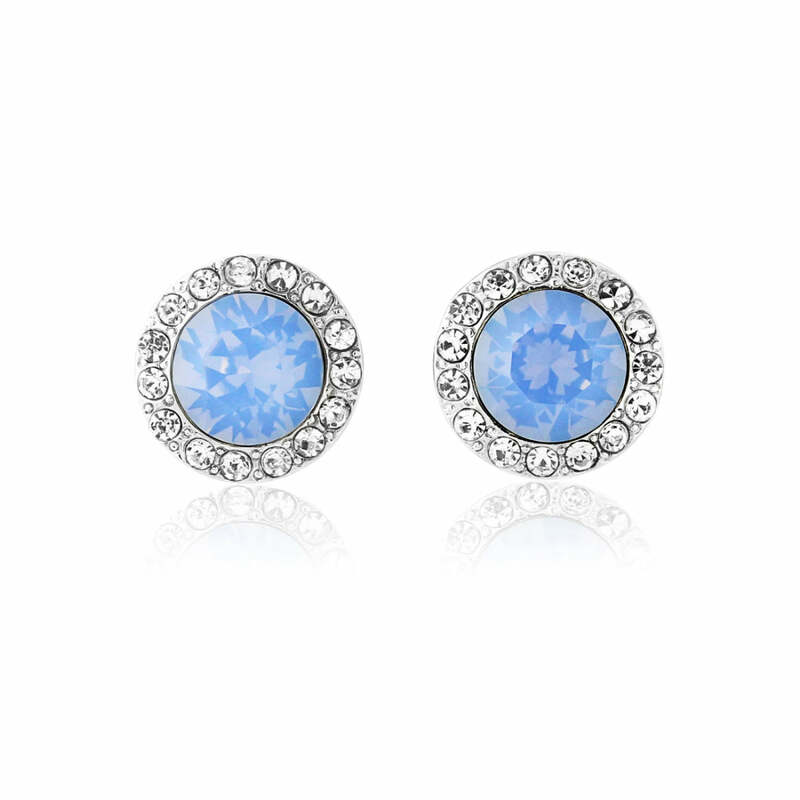 Quite simply captivating, our Shimmering Sky Jewellery Set is adorned with the most mesmerising blue opal crystals. 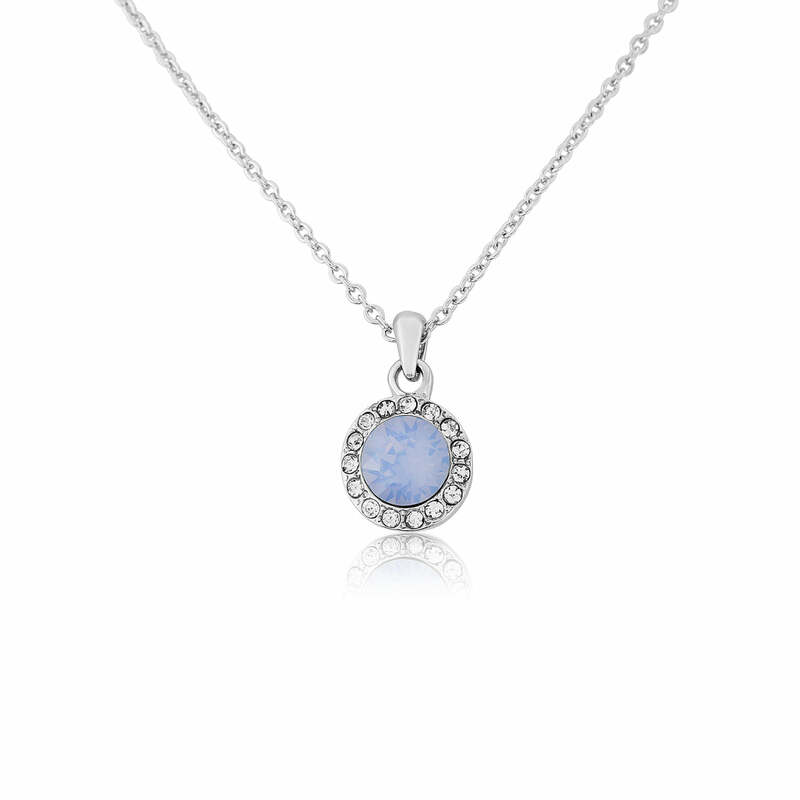 Featuring a delicate pendant, bracelet and earrings, the vibrant hues add a perfect pop of colour and a dose of modern-vintage charm to any outfit. 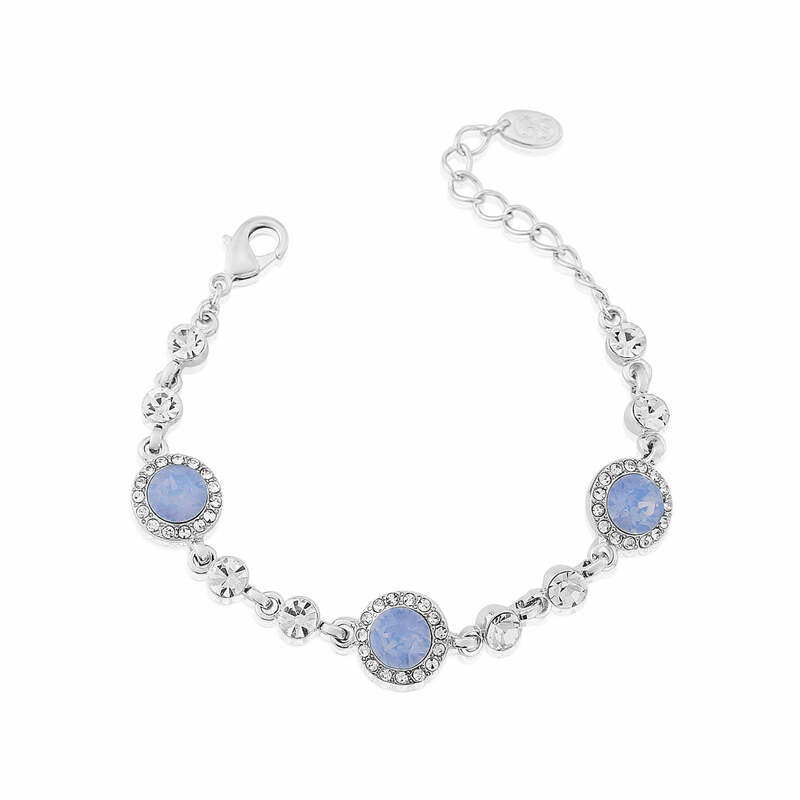 A divine ‘something blue’ for the bride who wants to bring a hint of colour into her special day style, this pretty trio is also the perfect blue bridesmaid jewellery set to accentuate a stunning cornflower hued wedding theme. 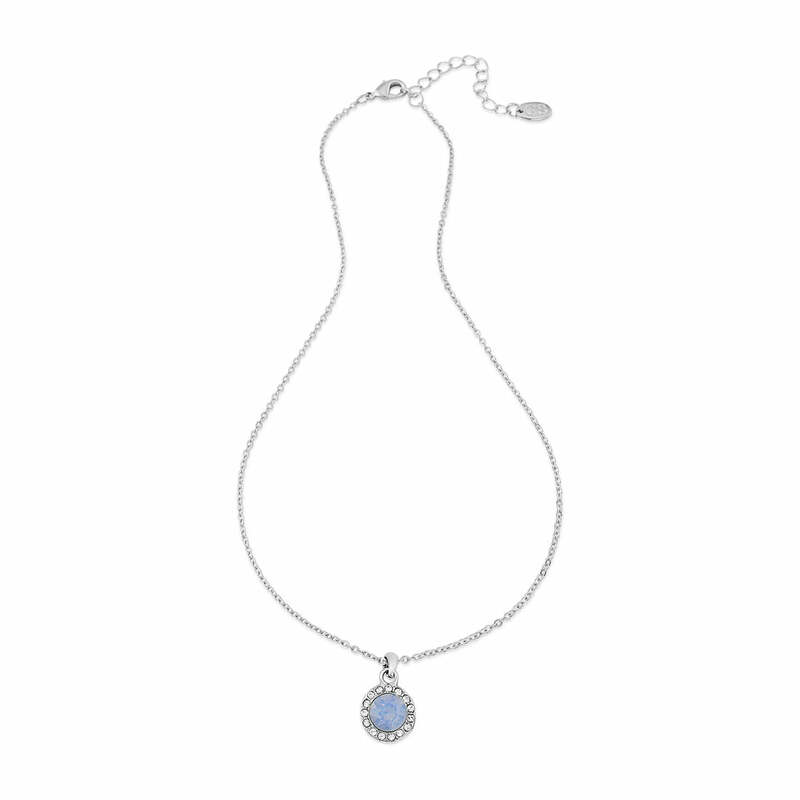 Beyond the big day, Shimmering Sky adds a stunning finishing touch for every occasion. 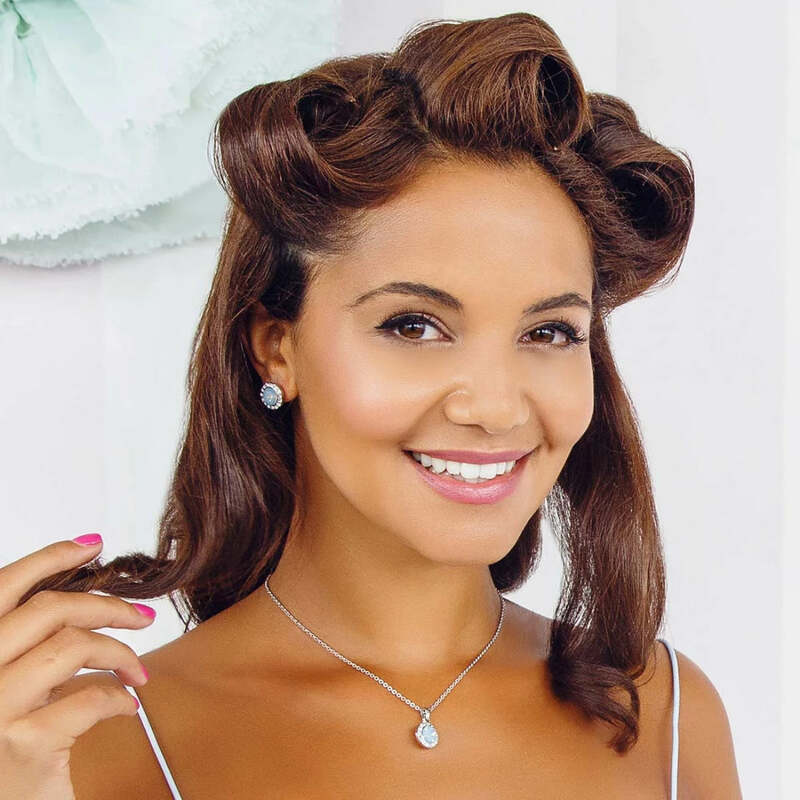 Wear the studs alone for a daytime-chic look or wear the full set to add a fabulous flair to a 1950s inspired dress for the races or a glamourous party.